Today’s townland is Cregagh, in Belfast. The townland name has been used widely, creating the odd situation where Cregagh Road and Cregagh housing estate are in Ballymaconaghy townland, not Cregagh. Instead, Cregagh townland is a bit further east, as shown in dark green on this map. It includes streets like Stirling, Rochester and Downshire, and part of Montgomery Road. The southern part of the townland is the beginning of the Castlereagh Hills. 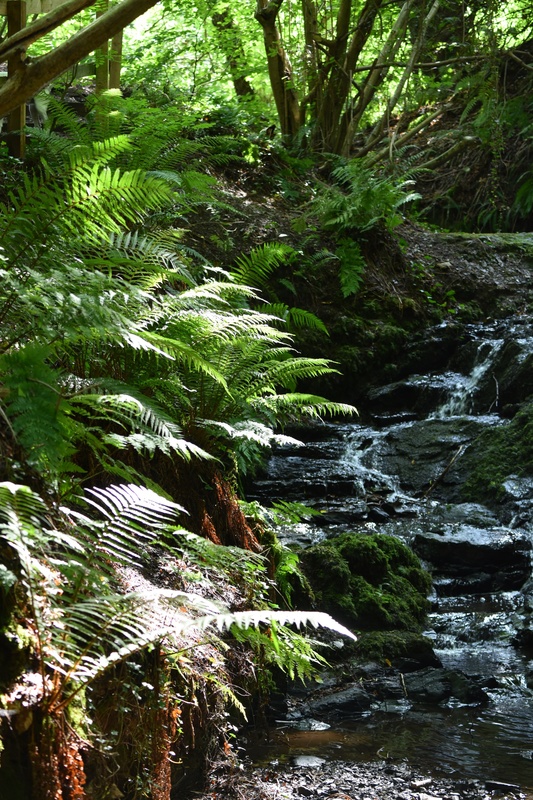 There’s a lovely footpath here, in Cregagh Glen. The glen forms the boundary between Ballymaconaghy and Cregagh. 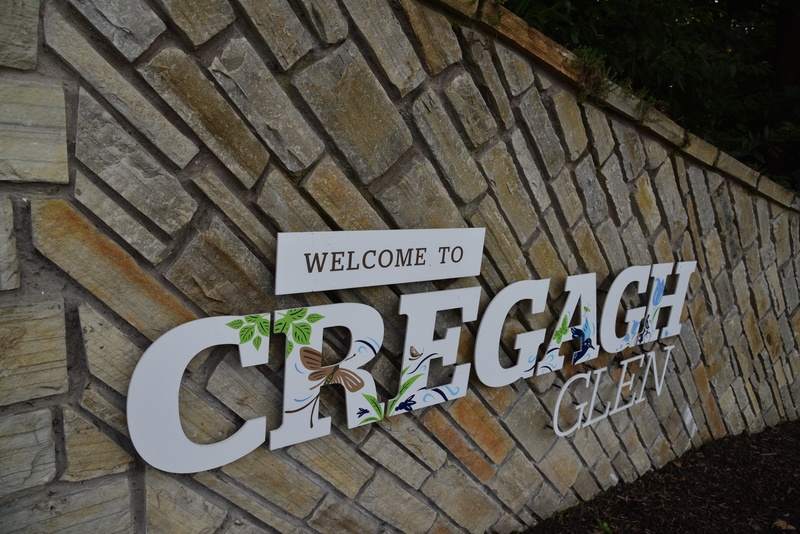 According to PLACENAMESNI the name Cregagh comes from the Irish An Chreagaigh meaning “the rocky place”. Which makes perfect sense when you walk here. 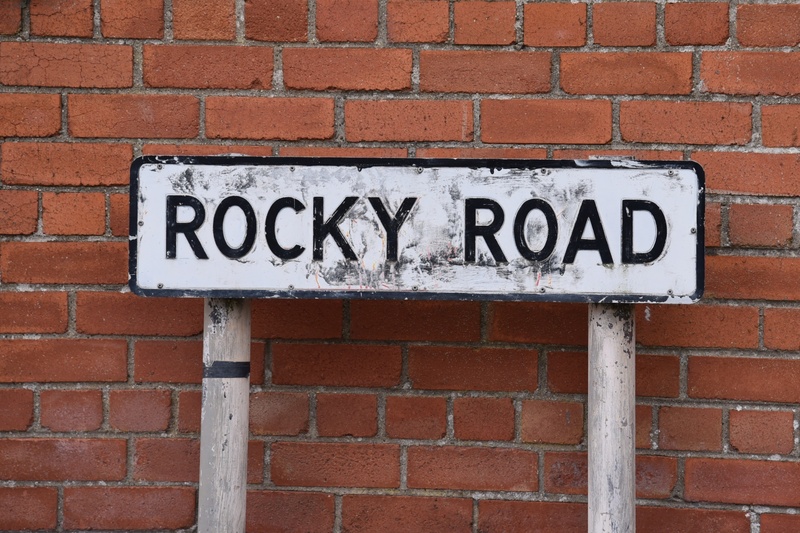 And it’s not surprising that the road beside the glen is “Rocky Road”. At the top of the hill Manse Road marks the end of Cregagh townland. 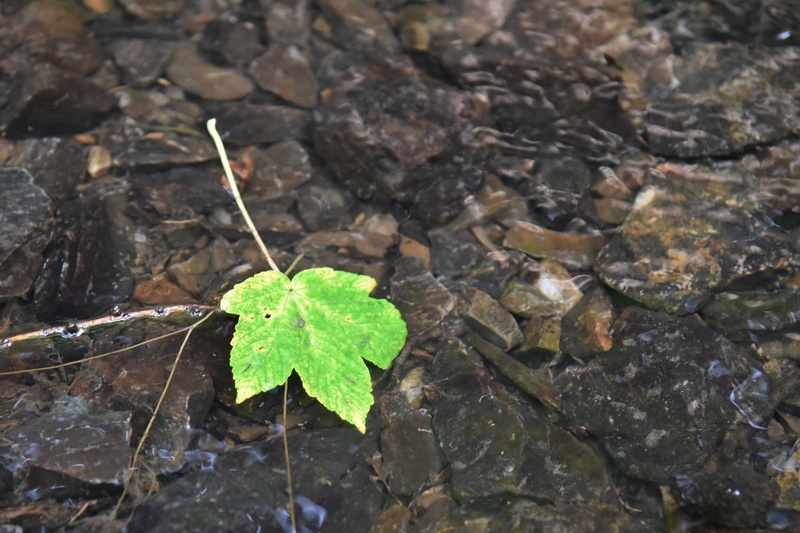 I’m marking the end of this post with a sycamore leaf on the rocky riverbed of Cregagh Glen. 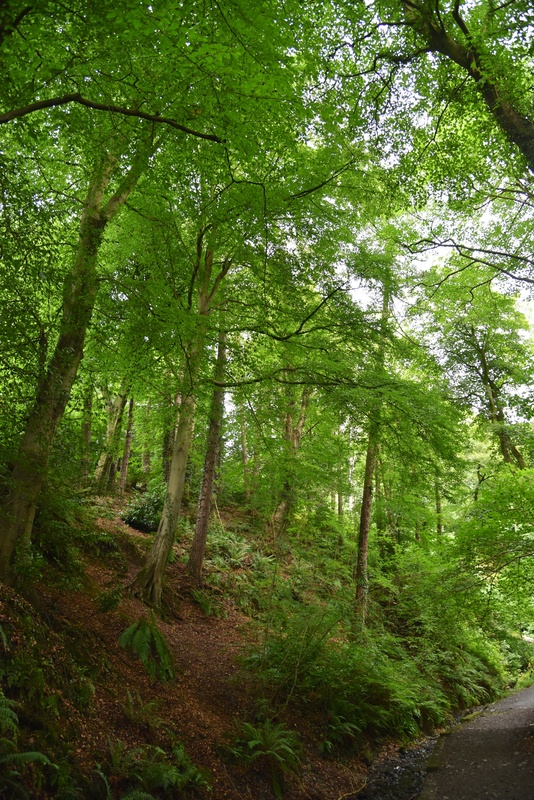 There is a good description of the walk along Cregagh Glen written by Linda Stewart in the Belfast Telegraph from 2012. Which townlands border Cregagh? To the north, Lisnasharragh. To the east, Castlereagh. To the south, Lisnabreeny. To the west, Ballymaconaghy . 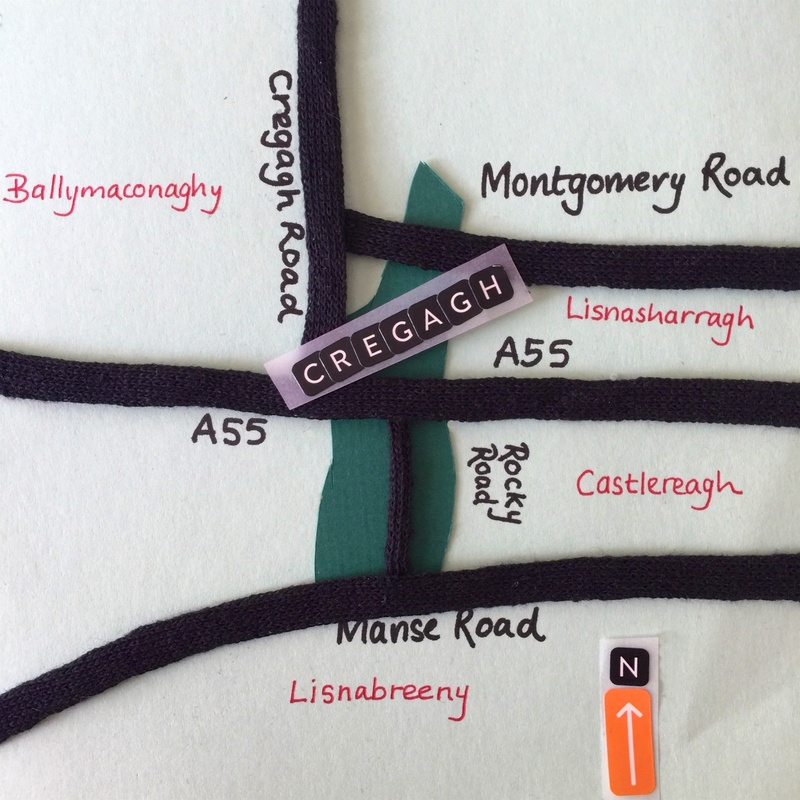 Click here for a map of Cregagh on Townlands.IE. Beautiful photos Karolyn. Such a pretty place. Thank you. We’re lucky to have places like this so close to the city.